They bear witness to the frustrations and joys known as the workweek, those five days in which we look forward to the weekend. But why should the week be seven days in length? Why not six days, or eight, or ten? And why bother at all to measure time by the week? Organizing time into a seven-day unit is not only unnatural, it was also unknown to most of our ancestors. Ancient civilizations marked the passage of time in a variety of ways, but it was always connected to something happening in the sky—the daily sunrise and sunset, the monthly lunar cycle, and the annual revolution of the earth around the sun. The calendars of the ancient world are rooted in these regular manifestations of nature. Measuring time by the week was unknown among most ancient civilizations because the concept of a seven-day unit of time corresponds to nothing at all in nature. No astronomical events occur on a seven-day cycle. And yet today, virtually every society conducts its business weekly, as well as daily, monthly and yearly. How did the week gain such status? The concept of a seven-day cycle was unique to ancient Israel and is enshrined in the opening chapters of Genesis. The first three days of creation involve the creation of the various domains: the sky, the earth, and the sea. The next three record the creation of those who will inhabit the domains: sea creatures, birds, livestock and human beings. The Israelite week is unnatural in that it is completely independent of the movement of the celestial bodies. Since the nations other than Israel tended to worship the sun, moon, and planets, God’s imposition of an unnatural seven-day week upon Israel suggests that he is unique. He is above nature and he alone should be worshiped. God’s rest on the seventh day would have far reaching implications for humanity in another way. The New Testament picks up this theme of rest and applies it to the person and work of Jesus Christ. The creation week in Genesis finds its fulfillment in the final week of Jesus’ earthly ministry when he entered Jerusalem to be crucified for the sins of the world. Laying down his life and finishing his work, Jesus then took his rest in the tomb on the seventh day before rising from death on Easter as the firstborn of the new creation. And just as God provided ancient Israel a day of rest from the burdens of labor, so God now provides eternal rest to all people who labor under the burden of sin and guilt. This good news of forgiveness and freedom from condemnation is for all who put their faith in Jesus, and it went global. The spread of Christianity enabled the worldwide success of the week. 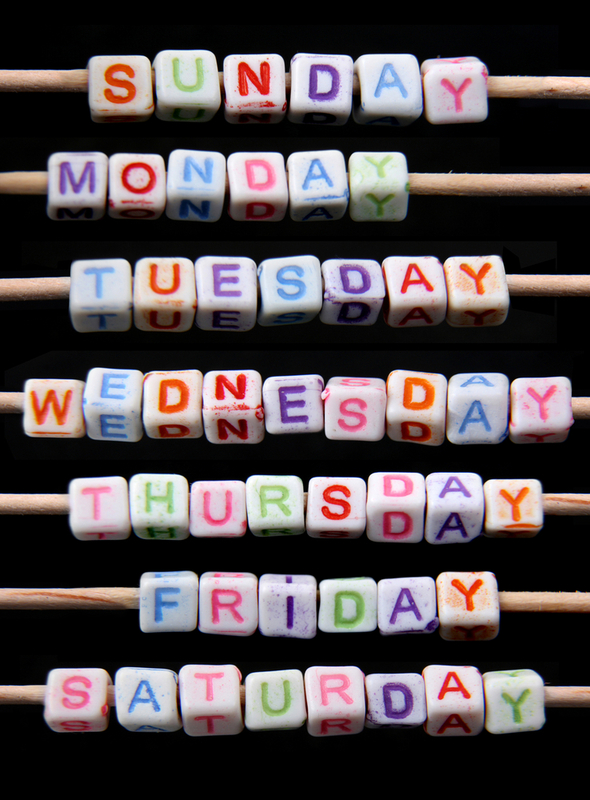 The Roman Emperor Constantine officially adopted the seven-day week in AD 321. Afterword, it spread to Arabia, to China, to India and beyond.